If You Are A Kitchen Manager, Hungry For A LIFETIME CAREER Offering World-Class Experiences, Opportunities And First-Class Training, You Have Found Your Opportunity! Apply Today for our location in Bradenton, FL. To become a successful Kitchen Manager with our company, your mindset must be devoted to complete guest satisfaction. We empower our Kitchen Manager to do whatever it will take to make any situation right. We believe that training is the essential key to building a successful career. We pride ourselves on creating a comprehensive competency-based training curriculum that meets your individual needs. Our Company offers one of the most effective on-going career development tools in the industry to prepare you for the next level of responsibility. Opportunities here are endless as we currently operate around 350 restaurants in more than 35 states and are continuing to open up new restaurants across the United States. Our Portfolio of Restaurants Total over a BILLION DOLLARS in revenue annually so security and financial dedication to our employees is paramount. Don’t miss this wonderful career opportunity as a Kitchen Manager for our location in Bradenton, FL. Job Description: The Kitchen Manager is responsible for delivering results in sales, profits, team members and guests, for supporting the restaurant and management team by ensuring food is prepared and served to standard. This Kitchen Manager must have the ability to multi-task while managing day-to-day operations of the restaurant such as inventory, people, hiring, training and development, and P&L management. The Kitchen Manager will provide direction and coaching for all BOH team members including food preparation, production, and safety and sanitation, will complete all BOH performance evaluations as well as write the weekly schedule and will coordinate training and ongoing development of BOH team members. The person in this position will order all supplies for the restaurant and will ensure proper staffing levels by recruiting, interviewing and hiring talented team members. The Kitchen Manager reports directly to the General Manager. 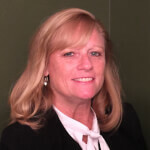 Andrea Hudon is the Gecko Hospitality Franchise Partner for Central Florida: Orlando, Tampa and surrounding areas. During her 13 plus years with Gecko, she has placed 100’s of Management Level Candidates with customer firms. Her friendly and efficient manner builds long lasting relationships with fellow Franchise Partners, clients and candidates alike. Andrea utilizes the strength and breadth of Gecko main office and regional partners, when needed to help satisfy her clients’ specific needs. Gecko’s mission to exceed customer expectations, promotes a culture of cooperation & support among Franchise Partners. Prior to joining Gecko, Andrea was a Training Store General Manager for Edwardo’s Pizza & Gino’s East for 6 years. One of her stores was touted for doing over 5mm/yr of business. This GM experience in the hospitality industry made her transition to Restaurant Manager recruiting for Gecko a natural move. Andrea graduated with a Bachelor’s Degree in Hospitality. She was also honored as a Top WIU Senior at the yearly National Restaurant Association Show.